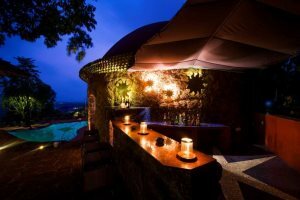 The nightlife in Goa is diverse; in the evenings, guests have the choice of relaxing in their hotel or enjoying dinner and drinks in a wide range of restaurants and bars either nearby or a short taxi ride away, while your Goa holiday can enjoy more energetic nights out by visiting some of the state's vibrant clubs. 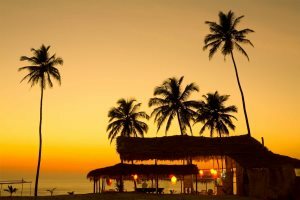 The most vibrant nightlife in Goa can be found in the North of the state in resorts such as Calangute and Baga, where there are plenty of bustling beach shacks, lively bars and the occasional nightclub to discover during your holiday in Goa. The resorts in the South have a much more relaxed and laid-back feel to their Goan nightlife, with just a handful of restaurants and bars. Eating al fresco in the evenings is one of the pleasures of the nightlife in Goa. 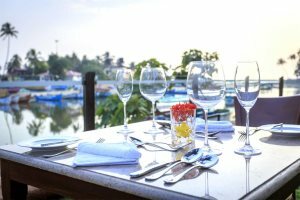 In main resorts such as Candolim, Calangute, Baga and Colva, there is a wide range of dining options offering both Goan, Indian and International cuisine. Find out where you can try authentic Goan cuisine. From simple beach shacks serving Kingfisher beer to modern lounge bars offering fancy cocktails, there is something to suit all tastes. You will find drinks less expensive outside of the hotels however due to high import taxes, international brands and imported wine can be expensive. Goa in the past has been famous for having a party scene but with recent noise pollution bans now in place, loud music cannot be played outside any later than 23:00. If you wish to experience the lively Goa nightlife, why not visit the famous nightclub Tito’s in the resort of Baga for drinks and dinner?